Contrary to what some may imagine, the construction and manufacturing industries do not have the highest rate of on-the-job injuries. In fact, hospitals hold this dubious distinction, and this should be great cause for concern among nursing and medical leaders. According to the Occupational Safety and Health Administration (OSHA), there were 58,860 "work-related injuries and illnesses that caused employees to miss work" in 2011. This data does not include injuries wherein the employee was able to continue working after the occurrence. In terms of workplace injury activity in 2011, hospitals recorded 157.5 per every 100,000 workers. Meanwhile, the construction industry reported 147.4 per 100,000, and the manufacturing industry reported 111.8. As expected, overexertion injuries are the highest percentage for hospital workers, and we can make a safe assumption that nurses make up a considerable population within that cohort of injured workers. Alarmingly, 8 out of 10 hospital nurses report frequently working while experiencing musculoskeletal pain. If the average cost of a workers' compensation case is $15,860, and the overall cost of replacing an injured nurse ranges from $27,000 to $103,000, it is in the interest of all parties to reduce the likelihood of injury for healthcare workers. We must also remember that a percentage of worker injury may involve simultaneous patient injury, thus the overall relative costs are significantly higher. Although violence accounts for only 9 percent of all reported claims of workplace injury in hospitals, according to OSHA, this number should be unacceptable to nurses, nursing leaders and healthcare executives. In the recent case of an Illinois nurse who was attacked, held hostage and raped by an inmate patient who was erroneously left unshackled, it's once again clear that frontline nurses are extremely vulnerable to violence. 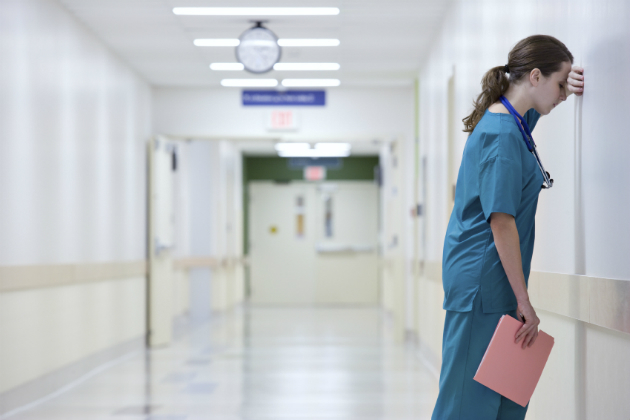 The potential for patient violence against nursing staff is high in a variety of settings. Considering the brutality of the aforementioned incident, we must also bear in mind that violence against nurses and other healthcare staff can come in many forms and levels of severity. While we recognize that the nurse in Illinois was working with a violent offender and thus at even greater risk, this situation brings to light the fact that nurses need increased protections in all environments, let alone workplaces where offenders receive medical treatment. We can only hope that the nurse in question will receive stellar medical and psychoemotional care, the utmost compassion and a workers' compensation process unencumbered by bureaucracy and victim-blaming. Whether we're considering the prevention of back injuries, violence, slips, falls or exposure to pathogens, nurse and worker safety could not be more crucial. With robotics and other advanced technologies coming into daily use in the manufacturing sector, we can make a safe assumption that workers in such environments no longer lift heavy loads that are now safely managed by machines and robots. Meanwhile, in the healthcare environment, we are egregiously behind in terms of bringing such technologies to the fore in the interest of the protection of both patients and staff. Many nurses and healthcare workers now understand that "proper" body mechanics, draw sheets and other techniques and tools for "safe" patient handling are simply insufficient. For example, morbidly obese patients should rightfully be positioned using ceiling-mounted lifts or bedside equipment designed for that specific purpose. In a perfect world, every hospital unit would have a nurse-controlled on-site robot capable of safely performing all transfers. With reportedly lower profit margins in healthcare as compared to other industries, this may seem like a pipe dream. Yet an aging population and a booming healthcare sector increase the need for strengthened protections for those who care for the sick. Nurses must themselves take responsibility for assuring their own safety. Vigilance regarding potentially violent patients is paramount, as is the ability for nurses and other staff to request and readily receive extra protection and assistance. While the violent incident in Illinois may seem like a rare occurrence, even one such incident is wholly unacceptable and should serve as a rallying cry for those who already recognize the prevalence of nurse on-the-job injury by any means. We cannot promise nurses 100 percent protection against all incidents both known and unknown, but we can obviously do better. No workplace injury is acceptable, although we acknowledge the risk that injuries will indeed happen no matter how we prepare. How we respond to such occurrences — and how we act to improve our prevention of on-the-job injuries and violence — should remain at the forefront of ongoing planning, evaluation, action and re-evaluation. A culture of injury is unacceptable, and efforts toward prevention must be robust and consistently prioritized.